EVERY intelligent person comes to a stage in his life sooner or later when he begins to question himself as to what purpose there is in life, in being on earth. 'Why am I here? What am I to accomplish in life?' he asks. No doubt the moment this question has arisen in a person he has taken his first step in the path of wisdom. Before, whatever he did, not being conscious of his life's purpose, he remained discontented. Whatever be his occupation, his condition in life, whether he is wise or foolish, learned or illiterate, there is always discontent. He may have success or failure, but the desire that his life's purpose should be accomplished remains, and unless it is accomplished a person cannot be satisfied. That is why many people who are successful in business, doing very well in their profession, comfortable in their domestic life, and popular in society, yet remain dissatisfied because they do not know the purpose of their life. After knowing the purpose of life we may be handicapped by many things, we may lack means, but the conditions will be favorable to go forward, in spite of all. When someone has found his life's purpose, no matter how difficult life is for him nor how many hindrances he has to contend with, from that moment there is nothing he will not withstand, no sacrifice he will not make, nothing he will not endure. He will wait with patience all his life, and if he does not succeed in this life he will wait even till the hereafter, happy because he is accomplishing his life's purpose. When a person knows, 'I am here for this particular purpose,' that knowledge in itself gives a great strength of conviction. There is a story told of the Prophet Muhammad. At the time when the Prophet, who was born for that particular purpose in life, felt a kind of restlessness, a dissatisfaction with everything in life, he thought he had better go into the forest, into the wilderness, into the mountains and sit there alone to get in touch with himself, to find out why there was that yearning after something he did not know. He asked his wife if she would allow him that solitude which his soul longed for, and she agreed. Then he went into the wilderness and sat there for days together. And when the vibrations of the physical body and mind, which are always upset and in turmoil in the midst of the world, calmed down, and when his mind became quiet and his spirit was tranquil, when the heart of the Prophet became restful, he began to feel in touch with all nature there, the space, the sky, the earth. And then it seemed as if everything was talking to him, as if the water and the clouds were talking. He was in communication with the whole world, with the whole of life. Then the word came to the Prophet: 'Cry out in the Name of thy Lord.' This is the lesson of idealism: not only being in touch with nature, but idealizing the Lord. In these days there is the great drawback that when people become very intelligent they lose idealism. If they want to find God they want to find Him in figures. There are many who would rather meditate than worship, than pray. In this way there has always been conflict between the intellectual person and the idealistic person. The Prophet was taught as the first thing to idealize the Lord. And when the ideal he thus made became his conception of God, then in that conception God awakened. And he began to hear the voice saying, 'Now you must serve your people, you must awaken in your people the sense of religion, the ideal of God, the desire for spiritual attainment, and the wish to live a better life.' Then he knew that it was now his turn to accomplish all those things that the prophets who had come before had been meant to accomplish. We are all born in this world to accomplish a certain purpose, and as long as a man does not know this purpose he remains ignorant of life. He cannot call himself a living being. A machine has no choice, it cannot find its life's purpose, but an individual is responsible to a great extent. Very often out of weakness a man gives in to something which otherwise he would have refused to accept. This weakness comes through lack of patience and endurance, lack of self-confidence, and lack of trust. A person who does not trust in Providence, who cannot have patience, who cannot endure, will take what comes at the moment; he will not wait till tomorrow. Perhaps the purpose of his life would have opened up before him if he had had more power of endurance, more self-confidence, more trust in Providence. But when he possesses none of these things he is just like a machine. He is not pleased with what comes in life, he is grudging every day, he is confused; and yet he goes on like a horse which is not willing to go on, but is yoked to the cart and has to go on. The first knowledge we must gain is the knowledge of the purpose of our life. It is a great pity that education as it is today pays very little attention to this question. Children, youths, and grown-ups all go through life toiling from morning till evening, studying or working, and at the same time not knowing what purpose they have to accomplish. Among a thousand persons there may be one exception, but nine hundred and ninety-nine are placed in a situation, whether they desire it or not, where they are working just like a mechanism, a machine put in a certain place which is made for it and where it must work. Out of a hundred perhaps ninety-nine are discontented with the work they are doing. Either it is their environment that has placed them there, or it is because they must work for their living, or because they have the idea that they should first gather what they need. By the time they have gathered the means to be able to do something in life, the desire of accomplishing something is gone. It is a great drawback that in spite of progress individuals often have no opportunity to accomplish something they desire. Many youths never realize this. They think, 'We must do that work and that is all.' And they have no time to think about the purpose of their particular life. Thus hundreds and thousands of lives are wasted. In spite of all the money they make their hearts are not satisfied, for it is not the wealth one gains that can give that satisfaction. On hearing from the Prophet that all things and beings were created for a certain purpose, someone said, 'O Prophet, I cannot understand why mosquitoes were created!' And the Prophet answered, 'They were created so that you may get up quickly at night and engage yourself in prayer!' Everything is created with a purpose, in order that we may use it for its purpose. And so it is with people. Sadi says, 'Every being is created for a purpose, and the light of that purpose is already kindled in his soul.' As we need blacksmiths and goldsmiths and farmers and others, so we need philosophers and mystics and prophets. That creates the harmony, just as we need sharp and flat in music. If it were not so there would be no beauty, for beauty is created through variety. When we look at life with a philosopher's view we see that every person is like one note in this symphony of life. That we all make this symphony of life, each contributing the music which is needed in that symphony. But if we do not know our own part in the symphony of life, naturally it is as if one of the four strings on the violin is not tuned, and if it is not tuned it cannot give the music which it should produce. So we must each produce that part for which we are born. If we do not contribute what we are meant to and what we should contribute, we are not in tune with our destiny. It is only by playing that particular part which belongs to us that we shall get satisfaction. Maybe many people will not think as I do, for instance those who believe strongly in pacifism, in the peace ideal. They will say, 'Is it not madness that anybody should make a war!' But everything one does, though it may look better or worse, yet belongs somewhere in the scheme of life, and we have no right to condemn it. The principal thing for every individual is to become conscious of the duty for which he is born. There are in reality two purposes of life. One is the minor, the other is the major purpose of life. One is the preliminary, and the other is the final purpose. The preliminary purpose of life is just like a stepping-stone to the final one. Therefore one should first consider the preliminary purpose of life. In the East there are various stories told about sages and saints who have awakened someone to the purpose of his particular life. And the moment that person was awakened his whole life changed. There is an account in the history of India, of the life of Shivaji. There was a young robber who used to attack travelers passing along the way where he lived and he robbed from them whatever he could. And one day before going to his work he came to a sage and greeted him and said, 'Sage, I want your blessing, your help in my occupation.' The sage asked what his occupation was. He said, 'I am an unimportant robber.' The sage said, 'Yes, you have my blessing.' The robber was very pleased, and went away and had greater success than before. Happy with his success he returned to the sage and greeted him by touching his feet and said, 'What a wonderful blessing it is to be so successful.' But the sage said, 'I am not yet satisfied with your success, I want you to be more successful. Find three or four more robbers and join together and then go on with your work.' He joined with four or five other robbers who went with him and again had great success. Once more he came to the sage and said, 'I want your blessing.' The sage said, 'You have it. But still I am not satisfied. Four robbers are very few. You ought to form a gang of twenty.' So he found twenty robbers. And eventually there were hundreds of them. Then the sage said, 'I am not satisfied with the little work you do. You are a small army of young men, you ought to do something great. Why not attack the Mogul strongholds and push them out, so that in this country we may reign ourselves?' And so he did, and a kingdom was established. The next move of the robber would have been to form an empire of the whole country. But he died. Had he lived Shivaji would have formed an empire. The sage could have said, 'What a bad thing, what a wicked thing you are doing. Go in the factory and work!' But the sage saw what Shivaji was capable of. Robbery was his first lesson, his a b c. He had only a few steps to advance to be the defender of his country, and the sage realized that he was going to be a king, to release his people from the Moguls. The robbers did not see it, the young man did not think about it. He was pushed into it by the sage. The sage was not pushing him into robbery. He was preparing him for a great work. Why in the East is the greatest importance given to a teacher in the spiritual path? For this reason: as Hafiz has said, 'If your teacher says, 'Sprinkle your prayer-rug with wine,' do it.' A prayer-rug is a holy object. Wine is considered unwholesome. But Hafiz continues, 'For the knower knows best which way to go.' For instance if a person wishes to collect wealth, his whole mind is absorbed in it. He may be told, 'No, that is not a good thing. What is wealth after all? It is unreal, useless. You ought to be devotional, spiritual!' But his mind will not be there. He cannot be spiritual. He is concentrated on that particular thing, and because he cannot collect the money he wants he is unhappy. If one forces upon him spirituality, religion, devotion, prayer, they will not help him. Very often people in place of food give water, and in place of water give food. That is not good. Spirituality comes in its time. But the preliminary purpose is what a man will contribute to the world as the first step before awakening to spiritual perfection. All the great teachers of humanity have taught that preliminary purpose of life in their religions. Whatever teachings they have given to their followers, their motive has been to help them to accomplish that first purpose in life. For instance when Christ called the fishermen he said, 'Follow me, and I will make you fishers of men.' He did not say he would make them more spiritual. That was the first step. He wanted them to accomplish the first purpose of life. The next purpose was to become more spiritual. To the teachers of spiritual knowledge who look at it in this way, their first duty is to show someone how to accomplish the first purpose of life. When they have done this, then they show the second purpose. There are four different ways people take in their lives. One way is the way of material benefit. By profession, by occupation, business, or industry, a person wants to make money. Something is to be said both for and against this ideal. Against it may be said that while working for money one very often loses the right track, thought, and consideration. One easily overlooks the rights of others when one is working for money. And what is to be said for it is this: that it is after all those who possess wealth who can use wealth for the best purpose. All charitable institutions, hospitals, schools, colleges, are raised by charitable people who have given generously to such organizations. There is therefore nothing wrong in earning money and in devoting one's time to it, as long as the motive is right and good. Another aspect is duty. One considers that one has a duty to one's community, town, or country; one does some social work, one tries to do good to others and considers it one's duty. It may be that one has a duty towards one's parents. One may be looking after one's mother and sacrifice one's life for her, or for one's wife and children. There is great merit in this also. No doubt what speaks against it is that very often such lives are spoiled, and they have no chance to do anything worthwhile in the world. But if it were not for the dutiful the world would be devoid of love and affection. If the wife had no sense of duty towards her husband, nor the neighbor towards his friend, then they would be living like creatures of the lower creation. It is the sense of duty that makes man greater than other beings. That is why we admire it. Heroes who give their lives for their country are not doing a small thing. It is something great when a person gives his life for the sake of duty. Besides duty is a great virtue. Duty, the sense of duty, is a great virtue. And when it is perfected and deepened in the heart of a man it wakens him to a greater and higher consciousness. In that way people have accomplished noble things. The great heroes have lived a life of duty. The sense of duty comes from idealism. The greater his ideal of duty the greater the man. According to the Hindus the observers of duty are considered religious, because Dharma, the Sanskrit word which means religion, also means duty. Myself with yesterday's sev'n thousand years! It is the point of view of the person who says, 'If I was great in the past, what does it matter? The past is forgotten. And the future who knows what will come out of it? No one knows his future. Let us make the best of this moment, let us make life as happy as we can.' It is not a bad point of view. It is a philosophical point of view. Those who adhere to it are happy and give happiness to others. No doubt all these different points of view have a wrong side also. But when we look at their right side there is something in it to appreciate. People nowadays use a phrase: 'He is a jolly good fellow.' In songs and on different occasions this phrase is used to show appreciation for that tendency of mind which tries to make this moment happy. It is difficult, very difficult, and not everyone can manage to do it. For life has so many conflicts, so many troubles. One has to face so many difficulties in life that to be able to keep on smiling is not everyone's achievement. In order to keep smiling a person must either be very foolish and not feel or think about anything, but just close both his eyes and his heart to the world, or a person must be as high as the souls meant by the story of the miracle of Christ walking upon the water. There are some who sink and some who swim, and others who walk over the water. Those who are drowned in life's misery are those who cannot get out of it. They are tied down in the depths of life. They cannot get out and they are miserable there. They are the ones who sink. Then there are others who are swimming. They are those who strive through the conflicting conditions of life in order some day to reach the shore. There are, however, others who walk upon life. Theirs is the life which is symbolically expressed in the miracle of Christ walking upon the water. It is like living in the world and not being of the world, touching the world and not being touched by it. It needs a clear perception of life, keen intelligence and thorough understanding, together with great courage, strength, and bravery. By this I do not mean to say that the man who makes the best of each present moment is the same as the man whom we call happy-go-lucky, the simple man. That man is the one who lives in another world. He is not aware of life's conditions, he is not awake to the conflicting influences of life. If he is happy it is not surprising, for he is happiness himself. I mean those who are awakened to life's conditions, those who are tender and sensitive to the thoughts and feelings of others. For them it is very difficult to go on living and at the same time to keep smiling. If a man can do it, it is certainly a great thing. If that is all there is to life, then those who consider it thus will realize they should think about the hereafter. Just as some think, 'While we are able to work we must strive in order to make provision for our old age that we may be more comfortable,' so those who think of the hereafter say, 'Life is short, it is nothing but an opportunity. We must prepare something so that later we shall have the benefit of it.' Maybe there will be some who have the right understanding, while others make too much of it and have a wrong conception of the hereafter. Yet the wise ones who believe that they must use the time and opportunity which is given to them in this life to prepare for the next one, have accomplished a great deal. It is something to admire. It is said that the earth and the sky and space do not accommodate a person who does not answer life's demands, although for exceptional souls there are exceptional laws, for the lives of exceptional beings cannot be explained in ordinary terms. One may ask what will be the future of those who have not fulfilled the demand of life. Will they have to come back to learn their lesson once more? We must all learn our lesson right now. Life is lived right now, its demand is right now, and we must answer it right now. At every moment we are asked to perform a certain duty, to fulfill a certain obligation. And to become conscious of this and to do it in the most fitting and right manner, that is the true religion. We have to become like the ebb and flow. This is a symbolical expression. A certain thing is accomplished at one time by sympathy, and at another time by indifference. One situation we must meet by taking interest in it, in another situation we must become indifferent, not concerned with it. If in a sea there were always ebb and no flow, or always flow and no ebb, then this would be a dead sea. The living sea is both inhaling and exhaling. Thus in everything we do in life, we should be able to meet every situation and event with the manner that the situation demands. These are the four different ways people take in order to accomplish the purpose of their lives: making wealth, being conscientious in their duty, making the best of every moment of life, and preparing for the future. All these four have their good points. And once one realizes this there is no need to blame anyone for having taken another path than our own for the accomplishment of life's purpose. By understanding this one becomes tolerant. And now we come to the ultimate purpose of life, which is always one and the same: for every man has in the end to accomplish the same purpose, in whatever way he will. He will come to it either consciously or unconsciously, easily or with difficulty. But he has to accomplish it. That is spiritual attainment. One might wonder if a person who is so material that he never thinks about it and who refuses to consider this question will ever attain to spiritual realization, but the answer is yes. Everyone, consciously or unconsciously, is striving after spiritual attainment. Sometimes he does not take the same way as we do, sometimes his point of view and his method differ, and sometimes one person attains to spiritual realization much sooner than another. It may be reached in a day, and another person may have striven for it all his life and yet not have attained to it. What determines it? It is the evolution of a particular soul. 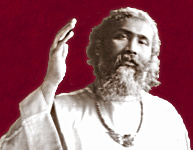 There are stories told in India of how a person was awakened to spiritual consciousness after hearing one word from his Guru. That one word inspired him instantly to touch the higher consciousness. And then again we hear the stories in the East of people who went to the forest or to the mountains, who fasted for days and months, who were hanging by their feet, their head downwards, or who stood erect for years and years. This shows how difficult it is for one person and how easy for another. We make a great mistake today when we consider every man's evolution as the same. There are great differences between people. One is creeping, one is walking, one is running, and another is flying. And yet they all live under the same sun. It is the custom in the East for those who begin to seek for a spiritual purpose to look for a spiritual teacher. They do not set forth on the spiritual journey by themselves, for thousands of years of experience have taught that to tread the spiritual path it is necessary to have some leader to whom one can give one's confidence and trust in order to follow him to the end. No doubt in the West there is a general awakening. Everyone wishes to know something about the spiritual path. But the difficulty is that everyone does not stick to one and the same thing. There are many who will go first to one esoteric school and then to another, and so on. In the end they have learnt so much that they do not know what is true and what is false, which is right and which is wrong. It is just like visiting a restaurant and eating so much that one is not able to digest it. Besides when a person takes in all that is false and true, there remains no discrimination between false and true. To realize the preliminary purpose of our life we must find our natural rhythm. Today people adopt wrong methods. They go to a clairvoyant and ask him about the purpose of their life. They do not know it themselves. Anybody else must tell them except their own spirit, their own soul. They ask others because they do not tune themselves to that pitch where they can feel intuitively what they live for. If another person says, 'You are here to become a carpenter or a lawyer or a barrister,' that does not satisfy our need. It is our own spirit that must speak to us. We must be able to still ourselves, to tune our spirit to the universal consciousness in order to know the purpose of our life. And once we know this purpose the best thing is to pursue it in spite of all difficulties. Nothing should discourage us, nothing should keep us back once we know that this is the purpose of our life. Then we must go after it even at the sacrifice of everything, for when the sacrifice is great the gain in the end gives a greater power, a greater inspiration. Rise or fall, success or failure does not matter as long as you know the purpose of your life. If ninety-nine times you fail, the hundredth time you will succeed. Thus the ultimate purpose, for which the soul is seeking every moment of our life, is our spiritual purpose. And you may ask how to attain to that purpose. The answer is that what you are seeking for is within yourself. Instead of looking outside, you must look within. The way to proceed to accomplish this is for some moments to suspend all your senses such as sight, hearing, smell, touch, in order to put a screen before the outside life. And by concentration and by developing that meditative quality you will sooner or later get in touch with the inner Self which is more communicative, which speaks more loudly than all the noises of this world. And this gives joy, creates peace, and produces in you a self-sufficient spirit, a spirit of independence, of true liberty. The moment you get in touch with your Self you are in communion with God. It is in this way, if God-communication is sought rightly, that spirituality is attained.